The Anthem VIP demo hasn’t even begun yet, but players are already figuring out how to kit out their Javelins as their favourite superheroes. Several posts have shown up in Reddit sharing RGB codes that players can use to recreate heroes from across the MCU and the Transformers franchise. The trend seems to have begun thanks to Reddit user NudelXIII, who posted an image of Optimus Prime and the exact RGB codes included in the character’s original colour-scheme. That post was followed up with another, featuring Iron Man’s Hulkbuster armour from Avengers: Age of Ultron and Infinity War, and Spongebob Squarepants. The trend then caught on, as another fan, qqusai, introduced three new colour concepts. Iron Man shows up again, accompanied by MCU buddy War Machine. Switching franchises for a moment, the post also takes a look at Bumblebee, based on the look from the adorable Transformer’s recently released standalone movie. Obviously players won’t be able to perfectly recreate these looks, but with the help of these posts, they’ll be able to get their colour schemes absolutely spot-on. BioWare showed off the extent of Anthem’s customisation options in a livestream back in November, in which associate producer Leah Shinkewski confirmed that you’ll be able to make your own colour presets using the same RGB codes used in those Reddit posts. On top of that, you’ll be able to choose the textures of your armour, swapping out those heavy cloth elements for a more metallic outer shell, which you’ll need if you’re going to recreate an Iron Man look. With the right Javelin and a few tweaks to your outer components, you’ll be looking like your favourite heroes in no time. I reckon Bumblebee’s a Colossus, while Tony Stark strikes me as more of a ranger. Harry’s Anthem preview suggests a slight grind, but a rewarding experience once you’ve mastered the game’s flight systems – you can check out his gameplay footage in the video above. 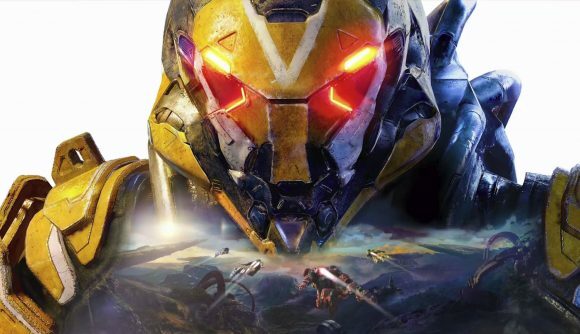 The Anthem VIP demo begins later today, but access is only available to pre-order customers or EA/Origin Access subscribers. If you’re not one of those, you’ll have to wait for the open demo that begins on February 1.